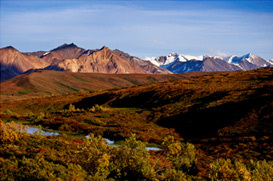 Mat Su Valley, Alaska Real Estate Explore Homes for Sale in Mat Su Valley, AK! The Matanuska-Susitna Valley, or Mat-Su Valley as it’s regularly called, is an area in the Alaskan Range that spans nearly a 35-mile swath north of Anchorage, Alaska. With a population of 11,000, Mat-Su Valley is one of the fastest growing regions in Alaska with residents commuting to nearby towns like Anchorage, Willow and Wasilla. Fishing is a major draw for the Mat-Su Valley area with opportunities throughout the year to catch several different types of salmon as well as other fish. With approximately 31 state parks and campgrounds scattered throughout the Valley, there’s absolutely no shortage of outdoors-related activities, including: running, hiking, snowshoeing, climbing, camping and more. The average home price in the state of Alaska is $276,600, which is a 1.7% increase from a year ago. Current listings in the Mat-Su Valley range from under $200K to nearly $1.5M. Find out more about Mat-Su Valley Real Estate. Contact Us!